All Jerith Residential and Regency gates come with our exclusive EverLatch™ as the standard latch. This latch operates with a handle and has a built-in keylock for added safety. EverLatch works magnetically, so it latches every time! 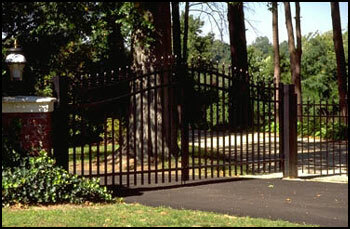 All Jerith Fence Styles have matching gates. The gates resemble the fence design, but with a welded frame and bracing for structural support. 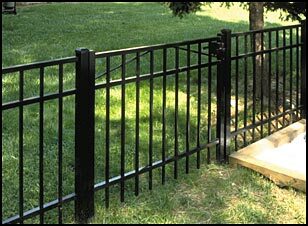 By fabricating in this manner, a Jerith gate can hold a 250 pound load without collapsing! A Jerith Estate Gate will create an truly impressive entrance to your home. These beautifully arched double gates really show off your “Estate”. A pair of these gates can span up to a 20’ opening. They can arch either upward or downward, and are offered in Style #101, #111, or #202. These gates are constructed from larger aluminum components that are welded at every joint. The gate height increases by one foot from the lowest side of the gate to the highest side to create a dignified presence that will distinguish your entryway! 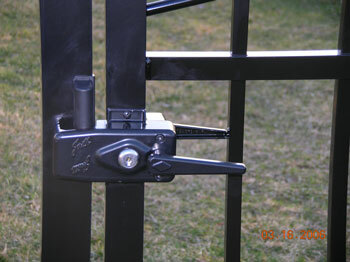 Jerith Walk gates are self-closing and self latching. These safety features are essential around a swimming pool to help prevent accidents involving children nd pets. We offer a child-resistant magnetic latch, with a built-in keylock, as an option. This magnetic latch will fit any Jerith gate. Our walk gates are self-closing and self-latching. They are available in several standard widths from 36" up to 72". In addition, our Regency gates are made up to 6 feet wide, while our Industrial gates can be fabricated up to 15 feet in length. No other gate can match the quality and strength found in a Jerith gate! 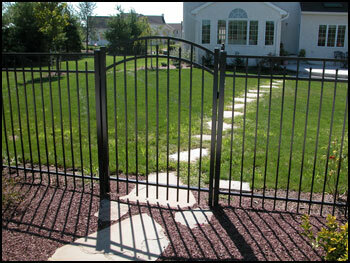 To differentiate your walk gate from the rest of your fence, you may want to consider our exclusive Accent™ Gates. These attractive gates enhance our standard designs with gently arched top rails. They are completely welded with no bracing to interfere with the appearance of their curves. 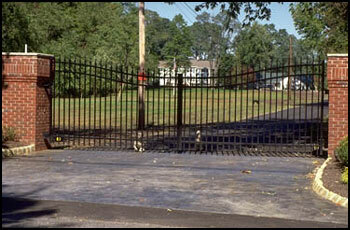 Accent Gates are made to accompany most of our fence styles in either a 3’ or 4’ width.